Ian has been begging me to make a holiday "treat." Since fudge is always a holiday staple around here once the Christmas season begins, fudge it was! I am a huge fan of chia seeds (see chia seed coconut pudding recipe here) and all the amazing health benefits...plus they expand in your tummy and make you feel full faster (great for when eating dessert). I used a basic fudge recipe but added my own little twist. 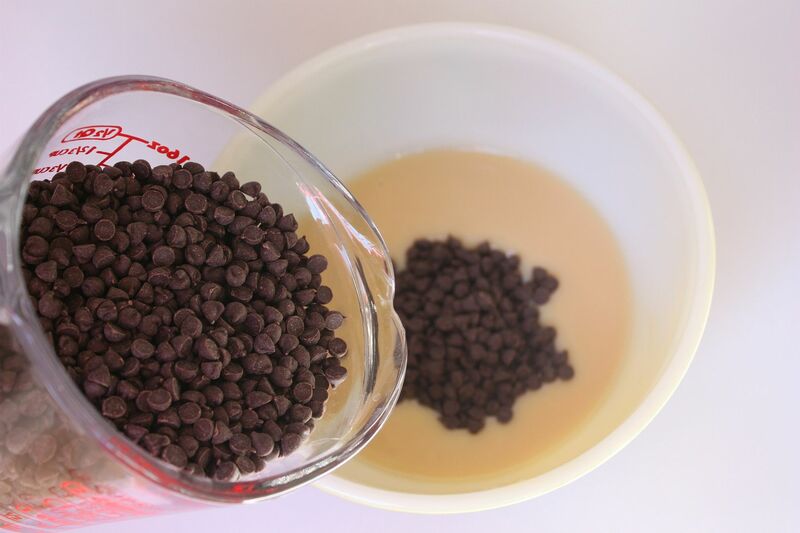 Place the semi-sweet chocolate chips, sweetened condensed milk, vanilla and butter in a large microwavable bowl. Microwave for about a minute and then stir. 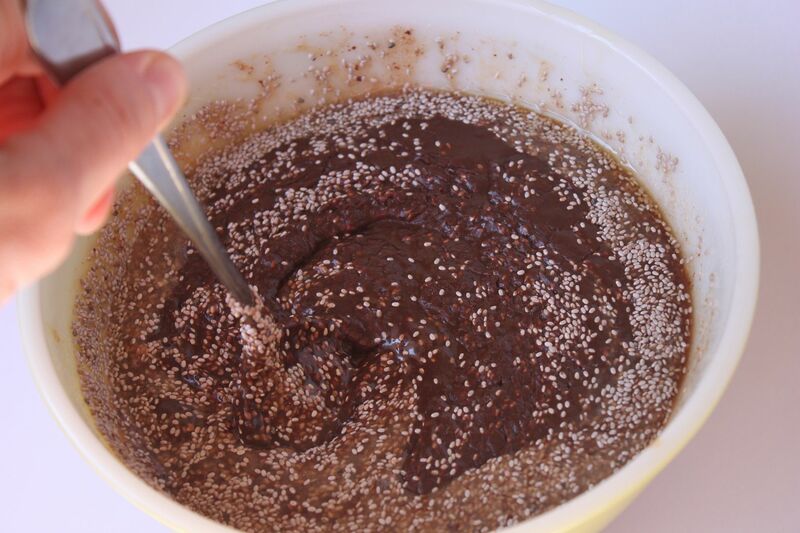 Microwave an additional 2 minutes or until mixture is all melted together. Refrigerate until it is firm and set. Such a quick and delicious dessert to make if you don't have a bunch of time. The prep time literally only took me 5 minutes. On a side note: I decided to extend this giveaway (because its AWESOME) a few more days. Don't miss out on a chance to win $150 to Jewelmint! mm I've been wanting to make fudge! Now I'm craving it at 9 AM! I've been meaning to try chia seeds! Now I'll definitely grab a bag the next time I'm at whole foods. Thanks, Lindasy! Looks delish!! My sister is OBSESSED with chia seeds. I definitely need to try them! I tried making fudge a few holidays ago & it didn't end so well. Maybe I should give it another go around! This looks delicious, and speaking of giveaways, Enter to win 5 shirts from StyleMint! I've been wanting to try chia seeds but haven't yet. 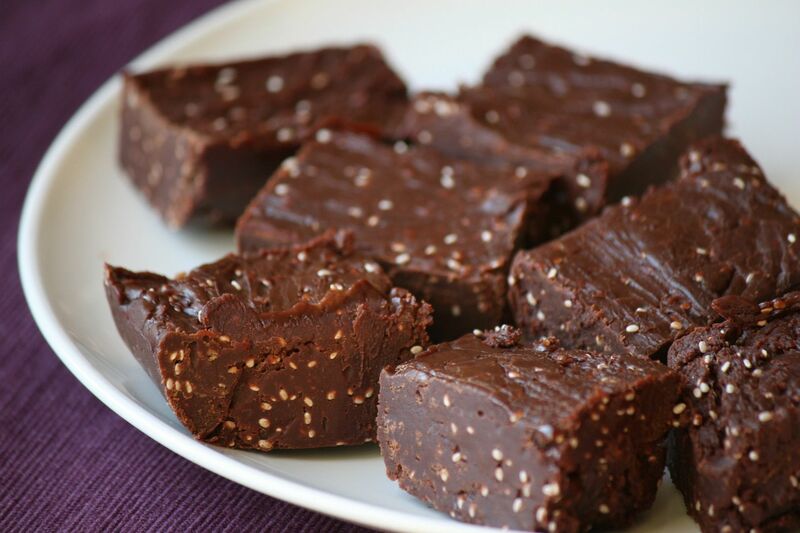 This sounds like a great way to make fudge a bit healthier! oh my gosh, you don't even know how excited I am to see this recipe! I love chia seeds and put them in my smoothies to get full and get the heath benefits. Not only that but I have two cans of sweetened condensed milk that I wasn't sure what I was going to do with! thank you for this! Clever girl. I haven't triad chia seeds yet, this just might be the thing that gets me there! I am gonna have to try that because fudge is my favorite thing to eat during the holidays. Okay yes - I am SOOO trying this! It looks like a Crunch Bar to me, and I love Crunch bars! This looks like something I am going to have to try! I've never had chia seeds but I've been requesting them at my local market forever! Mmm, I love fudge and these look might tasty. Never had them like these before. I have chia seeds left over from the coconut pudding so I will have to give this a try!!! I love fudge!! So tasty! I love this recipe! Love when you can throw in something healthy. It seems delicious and I might try it when I'll go back home for x-mas. okay. yes. My mom is currently obsessed with chia seeds...so this is the perfect compromise between the two of us...and the perfect thing to bring over to dinner this weekend! Thank You!!! Wow! I am trying this! 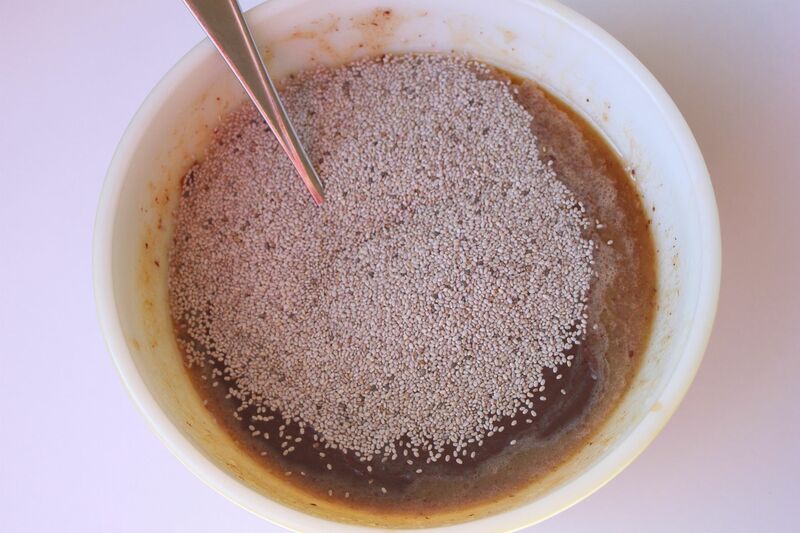 I have been searching and searching for a basic chia recipe with Chia. 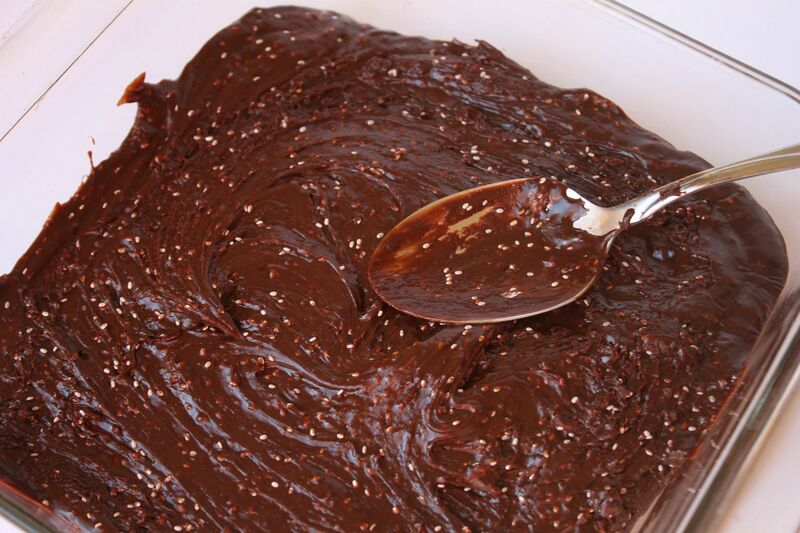 I made up Chia gel but didn't know how to add it to a basic fudge recipe. This will be brilliant. I'm trying it tonight. I don't have any chocolate chips at the moment but really want to try it out, do you think it would work without choc chips? Should I add sugar or syrup or anything else instead? This sounds wonderful as is but could you substitute out the butter for another option? Possibly applesauce? What do you think Lindsay?? I have been wondering what I could use the LC Foods low carb condensed milk for, now I know! :) http://www.netrition.com/lc_foods_sweetened_condensed_milk.html if you haven't seen it.